A decade from now, there would probably be only scattered archival materials and secondary sources to draw from for such a project. 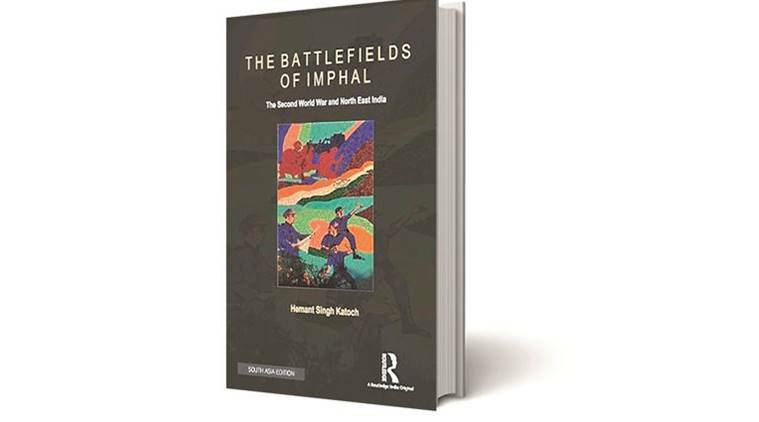 Hemant Singh Katoch’s The Battlefields of Imphal: The Second World War and North East India is a book which should have been written 30 years ago. 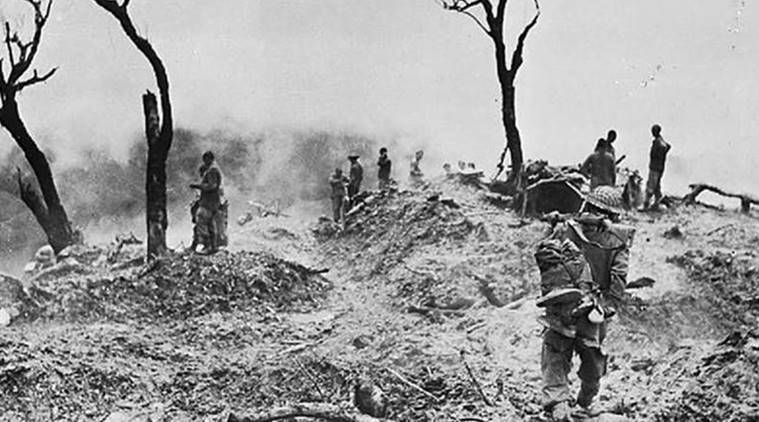 The book tells of Manipur’s experience of World War II, starting in May 1942 when Japanese air raids on Imphal began, till mid 1944, when British troops finally defeated and pushed the Japanese back to Burma and beyond. That was 74 years ago, and most in their prime at the time are now dead and gone. Without trying to be funny, the book is timely. A decade from now, there would probably be only scattered archival materials and secondary sources to draw from for such a project. Katoch has managed to trace many ageing survivors, and does a fine job of balancing their voices with archival records as well as past writings on the subject. The latter is understandably dominated by works of British army generals, war historians and journalists. Surprisingly, Indian voices have until recently been deafeningly silent, although this was a war fought chiefly between British Indian Army and not just the Japanese Imperial Army but also the Indian National Army, INA. The importance of the Imphal-Kohima Battle is now well acknowledged; in April 2013, the British National Army Museum voted it as “Britain’s Greatest Battle” ever. It was on this front that the table was turned against the Japanese forces, which has till then been sweeping South East Asia, mauling British/Allied forces battlefield after battlefield. For the British, this battle was crucial as this was also the time the Indian freedom struggle was at its height. Allowing the Japanese and the INA to enter India at that juncture would have been disastrous for them. For the same reason, though not for the same concern, India too should have shown more interest in this battlefront. Katoch’s book is a reminder. Katoch’s account is not from the viewpoint of a military strategist, presuming foreknowledge of the game-plans of the generals. Instead, it is a reconstruction of the overall picture from the bottom through meticulous mapping of the battlefields. It is, hence, like working on a complex jigsaw puzzle, painstakingly deciphering each part one at a time, fitting them together until the greater picture emerged almost in a “wow” moment. The details of each battlefield are absorbing, but each is not an independent mission. The central gravitating point of both the Japanese and British troops was the same. The former descended from all directions towards the Imphal valley with its six wartime airstrips, to capture it and make it their first stable base in their India campaign. The latter did everything to prevent this. The metaphor Field Marshal William Slim, the commander of the Burma theatre of war, uses to describe the battle-plan in his Defeat into Victory is that of a hub and spokes of a wheel. The Japanese and INA soldiers were advancing towards the hub along the spokes. There were many bitter battles along these spokes, and the Kohima road being the most important supply line for the British troops in Imphal, the Battle of Kohima was the most desperately fought. The casualty figures tell the same story. Katoch quotes the figure of 53,000 Japanese casualties, of which 7,000 were suffered in Kohima. Many of the Japanese fatalities were also of disease and starvation. Obviously, Gen. Slim’s strategy of preventing the Japanese from reaching the rice rich valley proved to be an important foresight. Other than military history, the book will be of immense value for those planning war tourism services in the region, a field in which Katoch has been a pioneer. The book also has a whole chapter dedicated to this subject.